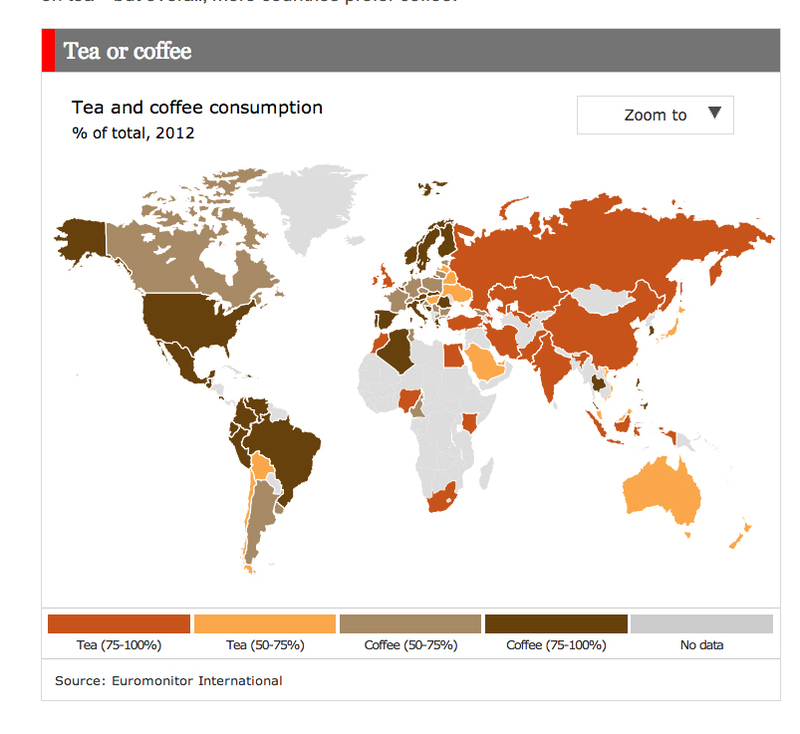 Those clever people at capitalism’s in-house mag, The Economist, have published a handy map of where in the world drinks coffee and where you’re more likely to find yourself among tea drinkers. This is just a screen grab. Follow the link above to read the article.